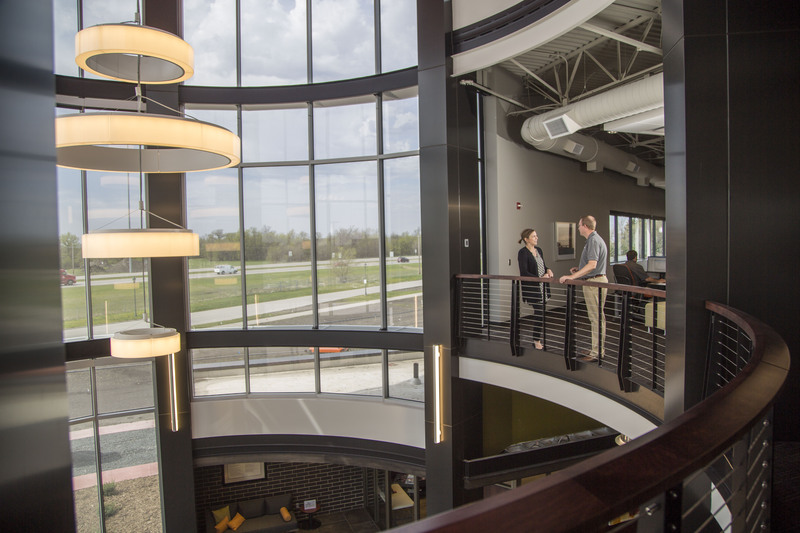 The West Fargo headquarters features a collaborative environment for employees to work in new ways, drive innovation and improve operations. The expansion is part of an overall organizational dedication to maintain the company’s global leadership in compact equipment and drive further business growth for the construction equipment brand, defend and strengthen core product offerings, and invest in fundamental competitiveness. Several dignitaries and special guests delivered remarks during the grand opening ceremony. From left: U.S. Senator John Hoeven; Elaine L. Chao, U.S. Secretary of Transportation; Rich Goldsbury, president of Doosan Bobcat North America; North Dakota Governor Doug Burgum; and West Fargo Mayor Rich Mattern. The expansion doubles the square footage and employee capacity of the original headquarters building – built in 2000 – bringing together teams who handle company administration, and manage sales and marketing and product development, for both Doosan and Bobcat brands. 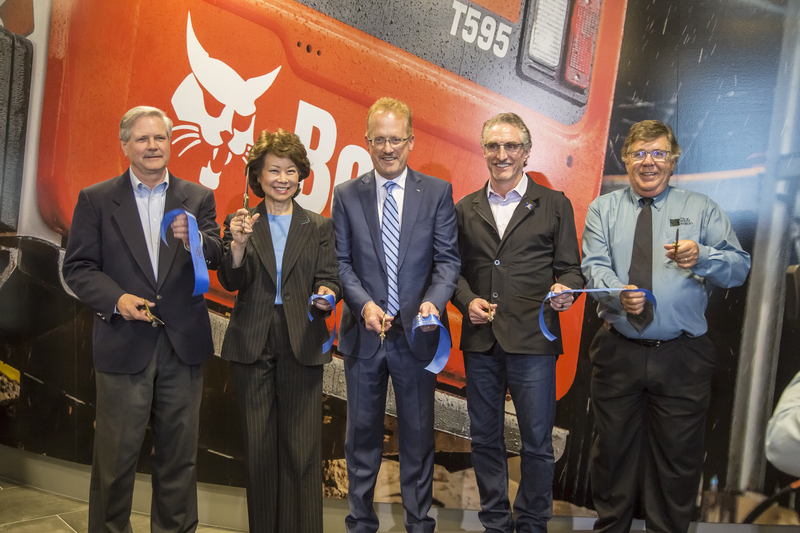 The expansion also fits with the company’s commitment to fields related to science, technology, engineering and math (STEM), which has been a major initiative for Doosan Bobcat, the state of North Dakota and the region. The new space offers a state-of-the-art environment for collaboration and independent work using leading technologies. An open floor plan encourages movement, personal connections and spontaneous collaboration. 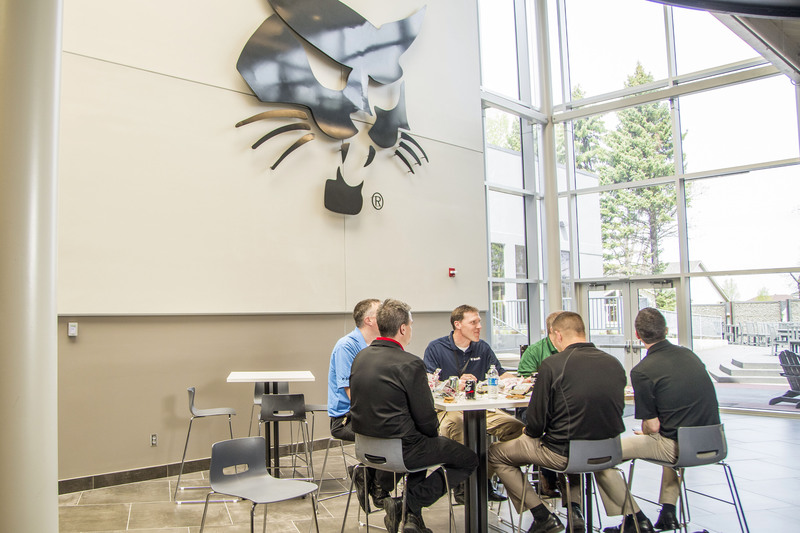 The new space offers a state-of-the-art environment for collaboration and independent work using leading technologies, similar to what Doosan Bobcat has done with its Acceleration Center in Bismarck, North Dakota, a $28 million facility completed in 2014. A vitality area, collaborative indoor and outdoor dining area and walking path are available to individuals who need to take a break from day-to-day activities. An open floor plan encourages movement, personal connections and spontaneous collaboration. Individual workstations with sit/stand capacities, dual monitors and docking stations are sprinkled throughout the facility, allowing team members to freely choose where to work at any given time of day. If employees need to utilize a private meeting room, they can choose to use 33 non-reservable enclaves located throughout the facility. Numerous and diverse reservable technology-based meeting spaces and open air Mediascapes are readily available for teams and events. A vitality area, collaborative indoor and outdoor dining area and walking path are available to individuals who need to take a break from day-to-day activities. Treadmill and bike workstations are also available, further increasing wellness opportunities for employees. 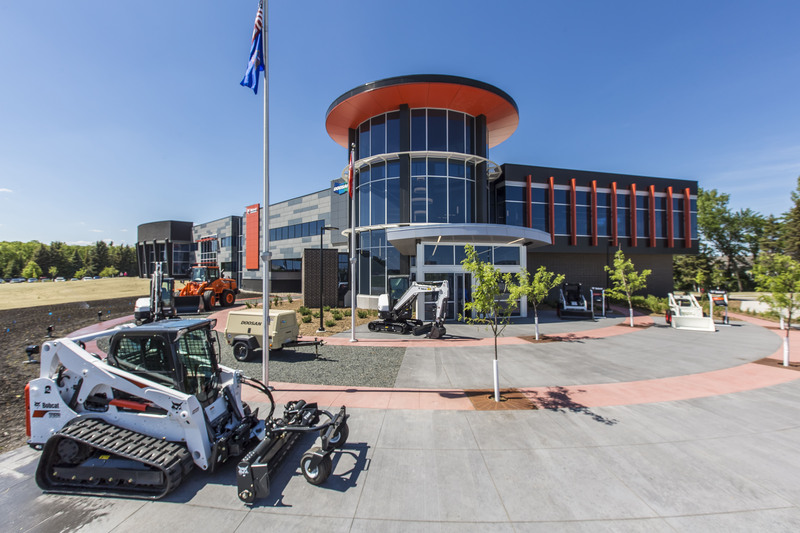 The West Fargo headquarters will be a continued model for how all Doosan Bobcat facilities will function. 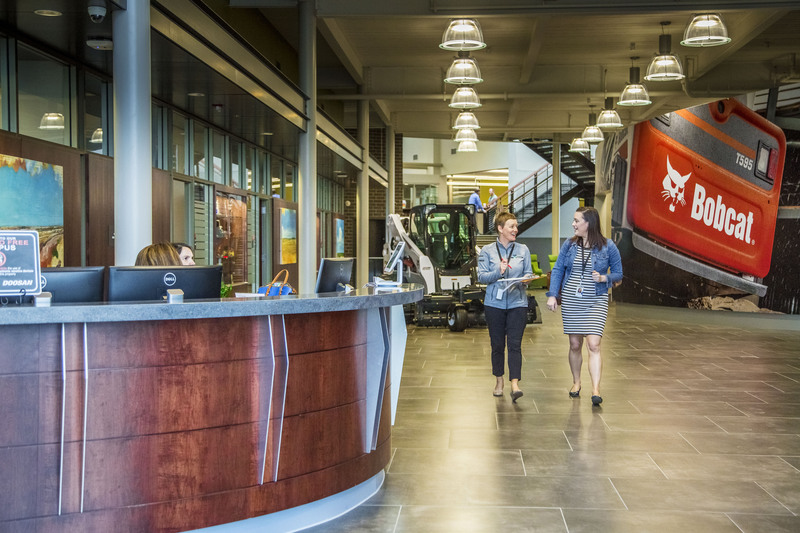 The West Fargo headquarters features a collaborative environment for employees to work in new ways, drive innovation and improve operations.